In my experience, it is bad to adapt anime into live-action films. You either end up with dumpster fires like “Dragonball Z,” or they are passable as with the first “Deathnote” movie. Live-action isn’t friendly to animation, and that runs true in the United States, too. I didn’t think “Beauty and Beast” was good, and I’ve not been a fan of Disney adapting more animation in the same way. Animation has a freedom of form that you don’t get in CGI, or human actors, and that is true here. So the question I ask is, “why did this work for me?” It works because they delved into the lore where the initial anime didn’t. I can see why this was in development hell for a long time, and this time it was worth it. “Alita: Battle Angel” is a cyberpunk dystopian action film that was adapted from the manga by Yukito Kishiro.The film was directed by Robert Rodriguez (an action director I’m a fan of), and written by James Cameron and Laeta Kalogridis. James Cameron was also a producer, and you can see his care with CGI in this. Alita is a cyborg seeking to discover her. Her adopted father, Ido, brings her back to “life” upon finding her in the wastes below the last sky city of Zalem years after The Fall, a war that devastated Earth 300 years prior. From here she must face multiple threats as she protects the people she loves. The Soundtrack – Tom Holkenborg does a wonderful job honoring the original anime’s soundtrack. You can hear the “Blade Runner” inspiration, while it also manages to develop a voice and feel of its own. The music captures the sci. fi. epic past, as well as the present desperation of the characters. The World – The anime touches on a rich world that the live-action film explores more extensively. There are hundreds of years of history. We learn about the war with the Sky Cities, and how Zalem became the last one. We learn about a cyborg military force from Mars, and how they nearly succeed before being defeated. We see the wastes where there is a gladiatorial competition of motorball where the winner of the tournament is rewarded by going to Zalem. I loved this world. It made me want to read the manga, and learn more. I hope this film gets sequels, so they can further explore it. The Action – The action is amazing. This is a film where you feel every punch. For example, there is a villain who Alita easily beats while defending Ido. He returns later, and it takes all she has to beat him. She loses so much of her cyborg body but fights on. I was never bored during this film. I even thought motorball was handled well, given how they presented the action with so much color, movement and increasing stakes as players tried to kill her. The action is truly one of the most memorable parts of the film. Ido – Christoph Waltz is wonderful as Ido. He is a scientist, and Hunter-Warrior, exiled from Zalem with his wife, whom his relationship with ended after their daughter was killed. We see him wanting that second chance in Alita as he gives her his daughter’s name. Their arc is him treating her as her own person, and respecting just how powerful she is. She is the protector and he is the “father.” He reactivated her and gave her the cyborg body he was going to give his real daughter. Through a set of Berserker Armor he Ido gives Alita, she discovers her past as a soldier for the United Republics of Mars (URM). Waltz is an award winning actor for a reason and this film is a great example of why. 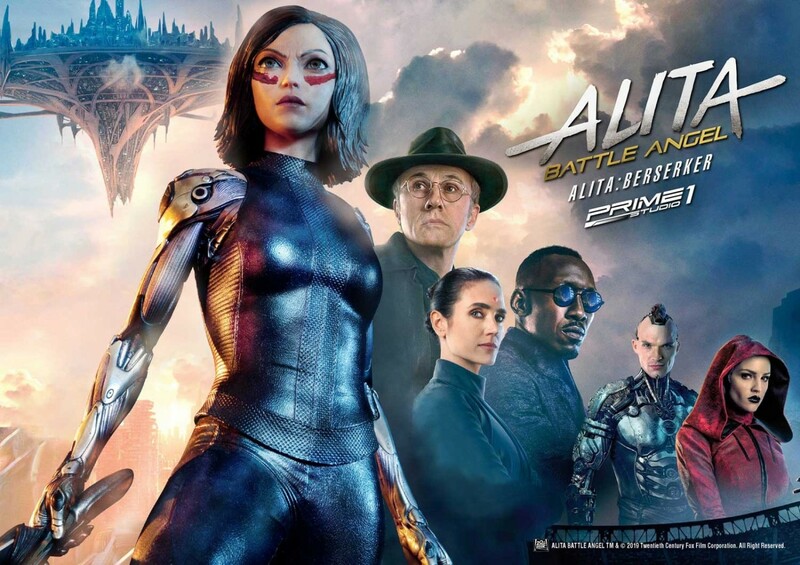 Alita – Rosa Salazar does a fantastic job as Alita. She is a woman seeking out her past, and also discovering her own humanity as a sentient android. We see her fall in love with and save Hugo, only to later lose him. We see her relationship with her “father” Ido become one of partnership, and family, rather than her being treated like a child. We see her discover what it means to fight the greater fight, as losing Hugo reminds her of the larger fight against Zalem and the man behind the scenes Nova. Nova has been the one manipulating Vector, Ido’s ex-wife Dr. Chiren, and taking all the remains of humans he finds worthy below. You can see why Alita wants to end him, and when she discovers where her fight truly is, it is empowering and also sets up possible sequels. Implications of the War – From what we can tell the URM lost the war and Earth stayed oppressed by Nova and Zalem. The world of “Alita: Battle Angel” is broken, and the desperation of people makes it so sociopaths like Nova can easily manipulate them into tools he can use to strengthen his city. The war ended but the fact that Alita survives implies that the old way may return, especially if she becomes a uniter of the people below Zalem. Minor Characters – Hugo, Vector, Dr. Chiren and a few others are fine. In the case of Vector, they end up often being possessed by Nova, so we never really learn who Vector is. Dr. Chiren has some good moments with Ido, and her choice to save Hugo is powerful. Ultimately her character underdeveloped. Hugo is okay, I liked him more in the anime because he was a bit more naive. In this film he is more grown up, which makes what he does as a mercenary all the more revolting. He does leave, and it costs him his life, but I felt he needed more development. I didn’t care about him nearly as much as I did Dr. Chiren. The Promise of Nova – Nova is a powerful force and we know how oppressive Zalem is but we never learn who Nova is. I put him as okay because the mystery gives potential for a compelling backstory, and he could become much more of a threat than he is in this. Edward Norton is extremely talented and plays Nova. There was some missed opportunity in his role. He is a good enough constant threat in the film, and I like that he’s been around since the war with URM. Hopefully his story pays off in sequels. For any fans of anime or post-apocalyptic cyberpunk sci. fi., this is a film worth checking out. I’ve been wanting to see a solidly good anime adapted to film for some time, and it looks like this time they managed to do it. The acting is solid, the action is great, the story is compelling and it is true to the anime while expanding on it and enriching the world. This film is a great example of adaptation done right. 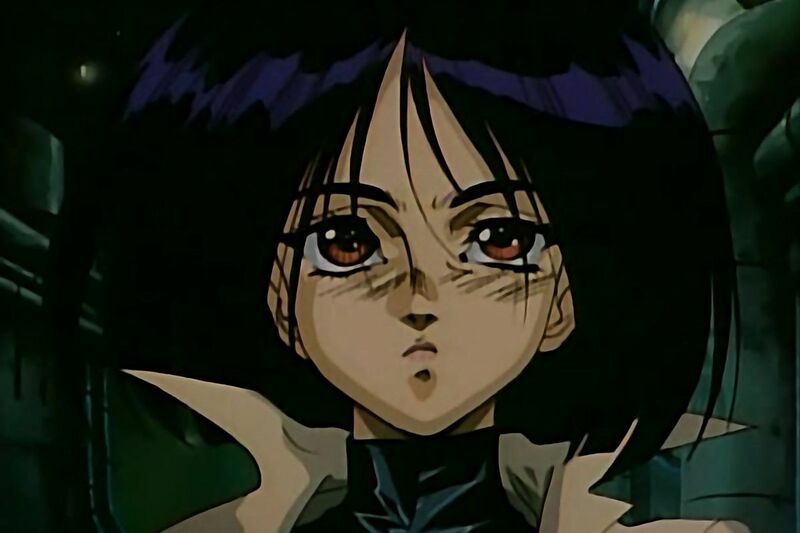 It has been a while since I’ve reviewed an anime, but I figured with “Battle Angel Alita” out I should better educate myself on the world before going in, which lead me to the OVA/Film that was made in 1993. It has been some time since I’ve reviewed an anime and I’m glad I went back to the 90s. The animation is simply stunning and the story is a brutal cyberpunk world with stakes. This story reminded me why I enjoy anime as an art and storytelling form in the first place, and just how much I miss hand drawn animation. I want this art form to come back. Hand drawn work is so underrated. The “Battle Angel Alita” anime is based on the manga by Yukito Kishiro and after watching this film I may have to check it out. The film was directed by Hiroshi Fukutomi and supervised by Rintaro with the story written by Akinori Endo. The film follows a Hunter Killer named Ido who finds an android in a Zalem (the floating city above) scrap heep and rebuilds her to be his daughter. He names her Gally and the story follows her relationship with the scavenger Yugo as well as clashing with her father as she wants to become a Hunter Killer and wrestles with her unknown past as she faces off against threats from Ido’s past and Yugo’s present. The Soundtrack – Kauro Wada was the perfect artist for creating a soundtrack for this anime. He is able to create electronic reflection and also tension before and during fights. It reminds of me Vangelis’s “Blade Runner.” Both of these artists tap into the desperation of our characters but also their own disconnect as they face impossible situations. Cyberpunk naturally goes with electronic I think. I have yet to see a film that wasn’t at least competent. I also haven’t sought out awful cyberpunk films. I am also certain they exist. The Animation – The animation is brutal. There is quite a bit of blood from whenever a character kills another. This works. I wouldn’t say it gratuitous because it fits the brutal cyberpunk dystopian world it takes place in. I also love the 90’s animation. You can see all the emotions in a character’s face, which in my experience you don’t always get with the going for stoic minimalist anime. This is a beautiful designed anime, even though it is unfinished in the story. The Action – The action is brutal. Everything that happens has consequences. We see multiple heroes, villains and random people experience brutal deaths. This is the definition of dystopia and we aren’t hidden from that. The action lingers on kills as whichever character who is witnessing it has it sink in. The film is under an hour but every action that happens gives you time to take in what happens and what loss the character is facing. It is part of what makes this anime good. Gally – In the just English dub this Alita. The dub I listened to kept her name as Gally so I’ll be using that in this review. She is one of the strongest parts of the story. She is seeking meaning in not knowing her past but also finding reasons to fight and to live. She goes against her “father” Ido to become a Hunter Killer, she loves and loses and she never stops fighting and growing. There is a reason the anime takes her name because drives the story. I wish it could have gotten more, as after the live-action her backstory is fascinating but the anime gives none of that rich lore. Ido – Ido is her mentor, father and a Hunter Killer. He is the distant father dealing with baggage through most of the film but we see him open up at the end. This was a man cast from paradise/Zalem and the character we meet hasn’t accepted that fully. This is all me reading into his actions, but I don’t think he would have backed up Gally in the end if some part of him didn’t want to return home, especailly after the loss of his love when she was seeking the same thing. We don’t see him express it but the implantation is there is him wanting to return back, at least for revenge for what they did to the person he cared about most besides Gally. Yugo – Yugo is our love interest and I like how his naivety works. He thinks that his stealing cyborg parts will get him to Zalem, when a theme is no one can really get there. He loses his body and hte person he loves because of his obsession with this dream. I’m putting him as okay as the love story was a little fast and I didn’t see the dilemma of him being split between Gally and Zalem. That choice of choosing Gally before he dies should have meant so much more. The dub was good though. I believed he was the idealistic kid in love wanting a better life. Vector – Vector is the main baddy and he is brutal but we never get who he is working for. Who is paying him? Is he just conning people and that is it? None of these questions are truly answered because the story is less than an hour long. He truly deserved more development. Not a con because at least he was developed enough that I got why people trusted his charm. Unexplained Zalem – Zalem is never explained. It is implied a civilization might be up there, but in the dub I watched it was vague enough that the defenses could be automated. This was bad storytelling. A clear answer would have given so much more development to Yugo and Vector at the very least. The city is always present in scenes of the cityscape and is the climax of the film but in the end it doesn’t mean anything. This really hurt the overall story. Gally’s Unknown Past – We never learn who Gally is, not a hint or anything. There was no point to this as even some detail would have given her complexity in the choices she makes beyond being a good person. Ido hints at knowing more but we never learn who she was before she was found in the trash heap. I say this as someone who thought she was one the strongest parts of this hour long long story. The main character needs some deeper development at least. Jason Bourne got more of that in his first film. For fans of 90’s anime you should check this film out. For how much it is underdeveloped in regards to Gally’s past it gives Ido and the character dreams and conflict in the present a good exploration. This film made me see the live-action adaption, which will be a future review. Besides the animation and action, it worth seeing it for the world the characters inhabit and how they interact with it. This cyberpunk dystopian is brutal and the fact that our characters can choose to be good or are good means something. In this world choices have consequences that give weight to the characters. Final Score: 8 / 10 Solidly good anime, worth your time. I’m a fan of complete stories, and stories with consequences. This goes for shows, books, films, etc. If I start something, I want to finish it. That is what lead me to this series, and one of the reasons I love Battle Royale animes. Battle Royale is a style of anime where a group of characters are in a tournament, fighting to the death, and there can only be one team or one person left alive. Think “Hunger Games” in terms of scale. “Juni Taisen: Zodiac War” is an anime based off a light novel (interactive book), by Nisio Isin, which was illustrated by Hikaru Nakamura. It takes place in the modern day where a war rages between 12 families, named after the 12 animals in the Chinese Zodiac fight (Ox, Dragon, Snake, Monkey, etc.). World Leaders bet on who will win, and the winner has a wish granted as their reward. The World – The world is full of magic and technology, and each family has a power or ability that is passed down through blood. This makes the wars between them fascinating and adds a darker element to it all, as each ability is used to maximize killing. The world is full of constant war and political intrigue, and this plays into the characters chosen to fight in the tournament. Characters – Not all the characters are strong or interesting. I couldn’t stand Snake and Dragon as they were just like Beavis and Butthead. Horse needed more character development. How women are objectified ends up taking away from a few backstories, too. There are a few characters that do manage to carry this 12 episode series though. Boar – Boar is our introduction to this world. She is the daughter of the winner of the last tournament. She wants to be the best more than anything and to be loved by her father. This leads to her driving her sister insane when her father chooses her sister over her. The reasons behind this are never fully explored, but given how sociopathic her father is, he turned sister against sister to see who he could make the most ruthless. She’s a broken character, but she loves the rage of battle. We see how her father’s views shape her, making her vulnerable, which is contrasted by the hard, collected exterior she presents to others. Monkey – Monkey is the peacemaker, driven by the desire to bring about world peace. She is a planner and has a way of disarming people with her kindness. She is one of the most powerful members in the tournament, as she controls the elements. She only dies when Rabbit uses the others he has killed to catch her off guard. Monkey is the only good person in the tournament, as many are driven by much more selfish means. Tiger – Tiger fights in a drunken rage. Having to fight in the wars that the families take part in breaks her spirit, and makes her a nihilist. This leads to her drinking and fighting, which leads to her forgetting herself, getting kicked out of her family and living by instinct. Her arc is about finding herself again, as when Ox rescues her one of the days she is drunk prior to the tournament, and that drives her to be better. Her story is touching. In the end she sacrifices herself to save Ox from Rabbit, and is the only member of the tournament to die happy. Ox – Ox is the Samurai archetype. This is a man who fights for honor and in defense of others. He has no abilities, but is methodical in his killing, becoming known as the “Genius of Slaughter.” He chooses not to kill in the end, in regards to Tiger. We see him as someone who has lived his entire life killing and found no purpose beyond how he kills. It is in his final act of risking his life, so Rat can defeat Rabbit, that we see that he finally finds purpose, just as his friend Tiger did. Rabbit – Rabbit is an insane necromantist whose soul desires to make everyone his “friends,” as in kill them and make them his minions. He is unpredictable and the main antagonist of the series, as he outmatches every single character. His winning means the end of the world. It takes multiple characters working together, starting with Monkey and ending with the actions of Ox and Tiger, that lead to Rat finally being able to defeat him. The final fights are amazing, and that is mostly due to just how impressive Rabbit is as an enemy. Shaped by Trauma – One of the major themes of the series is how trauma shapes you. Chicken was abused as a child so they learn to use vulnerability as a tool, Tiger’s trauma shapes her into a weapon, Horse’s trauma leads to him pumping himself full of drugs to be the strongest, and Monkey’s trauma drives her to try and bring about peace. These are a few examples of what makes the characters, who drive the story, so compelling. All of them were born out of conflict and their actions are shaped by it. Character Contrast – Each of the characters has another aspect about themselves that is contrasted with the face they wear during the tournament. Ox is a brutal unfeeling killer, yet dies for another. Tiger is reckless and violent but her final actions are driven by love, Rabbit brings people back to life because he is lonely and wants to be with people, Horse is a powerful soldier but in the end dies afraid and trapped, unable move past his fear. Dragon and Snake – I hated Dragon and Snake. These two are thieves who present themselves as helping the poor, but will take any contract, even killing the very people they were helping. We never find out why though. They have no clear motivation in their actions, and it just makes them bland. These characters just act bored or crazy, and it does nothing to develop them. These two received two episodes to explore their backstory, which really should have gone to Ox or Rabbit. The writer didn’t care about these characters, and in the end, we don’t either. How the Show Presents Women – Women in this are presented as victims only. Monkey is a victim of failed treaties she made, Chicken from abusive parents, Tiger from War, and Boar by her father. On top of this most of them are presented as sexual objects. Where the men get outfits that would function in combat or cover most of their body. With the exception of Boar and Monkey, everyone else is in underwear or less. This was so stupid, especially in regards to Tiger, who is a soldier, and Chicken, who is a spy. This is a common trope in anime and one I really hope is changed. Every character deserves full development and respectful presentation. Objectification does nothing but cheapen the character. The Ending – Rat wins because of his ability to see up to 100 different possibilities and choose the best path to take. So what does he do? What did he learn from all these characters, their motivations, and wishes? Nothing, seriously… the ending is awful. Rat chooses to forget he ever took part in the tournament, which is problematic given it makes all the deaths meaningless, and it doesn’t keep him from being put back into another tournament. He doesn’t help anyone and he doesn’t solve the problem of the tournament’s existence. I hated the ending, and it is one reason I can’t really call this series good. If you are fan of Battle Royale animes you should check this one out. It is entertaining and there are some great character moments, the animation and action are fantastic too. What brings it down is the common anime trope of the objectification of women, and certain character arcs having no payoff; as well as, an ending that isn’t worth your time. Seriously if you want the best of this anime, watch everything but the last episode, and skip the Dragon and Snake episodes. Besides that, this was entertaining but extremely flawed. 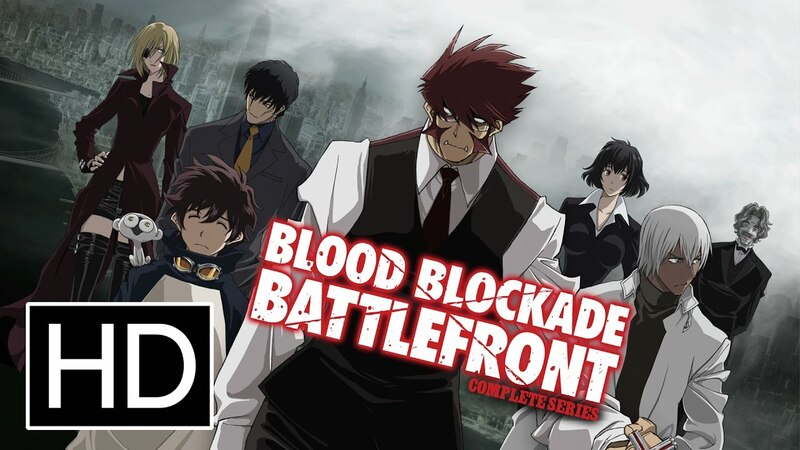 If you like animes with a mystery and an emotional payoff, chances are you will enjoy “Blood Blockade Battlefront.” This is an anime that keeps the stakes up the entire time will still keeping the anime tropes of craziness and super team. I would have watched this anime just for the team, and I’m glad it got a continuation in “Blood Blockade Battlefront and Beyond” which I plan on also reviewing at some point. This is an anime with consequences where there are no easy outs and I loved that the ending had consequences. I’ll get into more of what I mean later on but for non-spoiler thoughts, I definitely recommend this series. The series was directed by Rie Matsumoto and written by Kazunao Furuya. The story involves Leonardo Watch and his interactions with the secret crime fighting organization “Libra,” who work in Hellsalem’s Lot, the place that was once New York City but after a supernatural event, the city and people are changed forever as beings from other worlds now call the city home. The Pros: Hellsalem’s Lot – The incident that lead to Hellsalem’s Lot nearly destroyed NYC and it was the children of two Enchanters making a deal with higher beings that stopped the fall. This tone never leaves this world. Everything is dangerous and many people have magic now or are facing beings that alien to them. Humans are in fear mode as are many of the other humanoid beings. This gives the reason for Libra’s existence and Leonardo Watch’s ability to see the true name or nature of things with the “Eyes of God” (which he got from the incident) which complicate things further. This is a world of danger, but it never stops being fun. The Members of Libra – I like all the members who have been explored, outside of Zapp (who continues to remain annoying even after his character arc) and Steven who is the second-in-command but whose motivations we never really get. He’s powerful but through this series is largely an enigma. K.K. – K.K. is a minor character but she has more personality than a lot of the characters and never stops being fun. She is introduced as a gifted civilian with no special gifts (think Hawkeye in “The Avengers,” but is a lot more fun as she is much more cynical and it adds a lot. Chain – Chain likes trolling her teammates and it is great as the one she trolls is always Zapp, who is the garbage horny character on the show (who has a very buried good side). I wanted more screentime with her and more of her fighting. She rocks. Deldro Brody and Dog Hummer – I like this character out of the situation of their creation. A man connected to another being who is mad is wonderful. They have to work together and I love their dichotomy. It isn’t something you tend to see everyday, even in anime and fantasy as a whole. Zed – The Blood Battle God drops Zed off after he and Zapp are forced to work together. Zed is great he is Spocklike but also more savvy and I like how he generally cares. This is a character who is noble and doesn’t put up with Zapp’s crap while also being super gifted in what he does. I would watch an episode just about him and his life as a merman. Klaus – Klaus is the best part of Libre, he is distant but caring and he also shows that he sees the bigger picture. He is the one holding off Black until Leonardo can bring back White and help Black find the humanity he had before…and no longer be The King of Despair who inhabits him. Klaus is another character who I would watch a mini-series on. He is the most compelling member of Libra and the ideal Paladin character type. Also his Wolf-life character design adds a haunting tone to all he does. The Kind of Despair and Finding a Reason to Live a Story of Black and White -The main arc is balance and finding a a reason to live and not destroy. Leonardo makes friends with White who is only held alive by Black (another friend) making a deal with the devil. It is only his letting go and becoming part of the protective barrier that saves Hellsalem’s Lot. Complex Chaos, Femt Not Being All Bad – Femt is the first baddy we meet as he loves chaos, but even when he meets the Lord of Despair…he helps Leonardo whose whole point is to save the world. This was brilliant and I enjoyed the complexity. I wonder what he’ll do in “Beyond” but he is still a baddy and I have a feeling he wants existence and that is what brings fun. Regardless, it is great not to see that mindset in someone who isn’t like the Joker fully. Okay: The Arc of the Show – The Black and White Arc and Black learning to let go and care could have been done better. The characters mentioned above could have helped with that whether I felt they were explored well or not having more people connected to Black or White could have helped the story. It was still enjoyable and worked but I’m not going to discount what took me out of the story, which was the arc. This is a show that excels because of relationship and character. I can’t recommend overall arc simply because it needed more setup, but the characters make it worth it. This is a show I highly recommend and I can’t wait to watch the sequel series. These are characters I want to learn more about. I appreciate a series that can make the point without becoming overly long…and this one did it. If you are okay putting up with a main character who isn’t the best…stick around for his character payoff by the end of the season. Worth it for how it explores the characters and world. “Death Note” is one of those animes that comes along, like the first “Gundam” that takes the premise it exists within seriously. This show knows that it is arguing a premise, “Do the ends justify the means?” and does it in such a compelling way that one can’t be helped to be drawn in due to the compelling complex characters and the cat and mouse game that drives the plot as each of them argues the core main premise “Do the ends justify the means in regards to the killing of another?” The ends of course are justice in both cases and it is L (and his proteges) against Light. Light argues on the side of it being justified (he is given a Death Note which can literally bring about just that) and L who argues it is not justice and the one who becomes a vigilante is nothing more than a killer who must be held accountable to the law, to catch someone like that, you can go up to the line (like Batman and make your subject uncomfortable, but do not kill). The premise and story of “Death Note” (Manga created by Tsugumi Ohba, and anime by Madhouse and Tetsuro Araki) is Light Yagami finds a Death Note that the Shingami Ryuk drops into the realm of humanity. When he discovers it’s power to kill anyone whose name is written upon it, after he knows their face he decides to become “Kira,” a God of justice to punish all those who commit crimes. This sets authorities on him lead by L who seek to end his reign and stop the killings. SPOILERS are ahead. It is hard to argue a premise if I can’t get into the details of the premise given so much of how the line being crossed of killing to achieve justice, whether to end a vigilante or punish criminals is shown by what happens in character deaths. In what I mean in, “Do the ends justify the means?” Or to narrow it down for the sake of argument within the series, is killing ever justified bring about a just society, or bring another to justice? The existence of the Death Note and Light’s argument is that it is justified. L stands on the other side of this, even though he pushes this premise as much as he can and it is only when he and Watari are about to pass the line of denying another’ consent that they meet the ends of all those who take life for granted in the series. In the end the show doesn’t care about the reasons the characters want to kill, killing will always lead to death and it is the closest thing the show has to an answer on morality beyond it simply being bad. To end another is to eventually end yourself, and I’ll explore this through the different characters in the show. The first type of exploration of this premise is in our Kiras. For the sake of definition Kiras are those who want to punish criminals and corrupt people in order to bring about a just society. Mikami as the Hand of Kira and Kiyomi as Kira’s voice are good examples of this. Misa also adopts this role too, though her primary motivation is love for Kira, not justice so she falls into the next category we’ll be exploring. The followers of Kira and Light who are driven by their drive to punish bullies and criminals (Mikami is a prosecutor before Light chooses him) want a world that has no crime and wars and by the time we get to the end of the series Light has largely succeeded as wars have stopped and crime has been reduced 75%. His Task Force is even questioning whether bringing down Kira is now the right thing to do. In the end we get a clear answer though, Kiyomi is made to kill herself by Light when he puts her name in the Death Note and Mikami kills himself too when Light is revealed in the finale to be Kira, before he also meets his end. In the end their deaths show that in this instance the ends do not justify the means. The motives to bring about a just society cannot be built on murder is what we are lead to be believed and even if the ideal is peace, murder for ideals and a greater world will only lead to your own end. One of the primary motives to kill that the show doesn’t forgive, is killing out of love or to protect another. We first see this in Misa Misa, who is the second Kira and follows all of Light’s wishes out of love for him. She never truly ends up with him though and with his end it is implied that she follows behind, killing herself because of his death. Killing for love is the primary motive of Rem as well who is protecting Misa from L, Watari and the police force. Even though she is a God of Death even she can’t survive this as by killing Watari and L she dies as it is the consequence of a Shinigami killing a human. The other person who kills for love is Light’s father who is in charge of the Police Task Force to take down Kira. When he goes to rescue his daughter from the mafia and is killing the members who are protecting Mello, he dies as a consequence (also a consequence of making a deal with Ryuk for the Shinigami eyes so that he can better kill). Love as a motive to kill could argueable be seen as moral, but that isn’t how the show views it. These characters end up dead even though they only kill to protect others and care nothing for themselves. The other way we see killing used is in a similar way as Light, a means to an end in order to draw Light out. The people we see do this are Watari and L when they use a criminal to test out how Light can kill and again when they are testing out the fake 13 Day Rule that Ryuk wrote in the Death Note to trick L and the Task Force and bring suspicion off of Light and Misa. They die for doing this, as does Mello who teams up with the Mafia, who kill so that he can bring Light out of the shadows. It is only when he is willing to sacrifice himself that we see justice begin to happen in this world and in turn show us that the way you go about stopping a criminal is even more important than the criminal and his or your own motives. Mello pays the price as he loses himself and his friend for the deal he made with the Mafia and his willingness to kill to lure Kira out. Near’s motives are to be better than Kira and to “win” the battle of wits against him. He at first sees L as a loser for losing to Kira but we see a difference between him and L right off the bat. Near doesn’t use killing in order to lure Kira out. He lets those around him be responsible for their actions while he himself never crosses the line. He never murders and even orders the Task Force not to kill Kira if they are given the chance. This is the closest thing we get to a clear moral answer. Killing is wrong even if it is to stop a wrong. Near manipulates people but everything he does is to protect others and keep life from being lost. This is the moral statement I found within “Death Note” and how the story executes it is why it is one of my favorite animes of all time. I was discussing this premise with a friend who introduced me to Wisecrack’s deconstruction which inspired me to go into as much depth as I could with my premise. I love how great stories can do that as this is a series that covers so many themes that I had to narrow myself down to one to explore. For my score of this anime series: 9.6 / 10. I don’t consider it perfect as Misa and Kiyomi lose their agency on multiple occasions and they are the only women in this series who get any exploration outside of Light’s sister and mother who are more of a presence rather than fully fleshed out characters. If these issues had been solved I’d have given this series a 10 / 10. Regardless I highly recommend it. This was one of the shows that got me into the storytelling medium of anime in the first place, along with the “Ghost in the Shell” series. 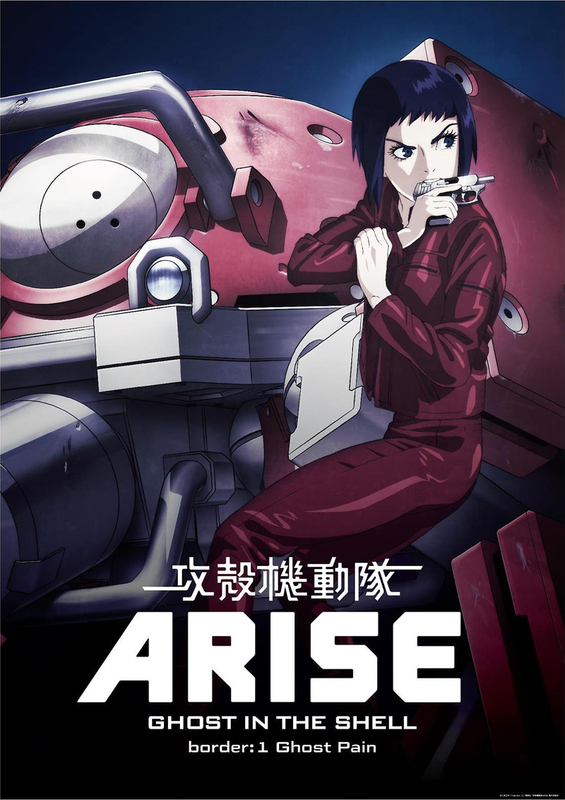 “Ghost in the Shell: Arise” series is a great re-imagining of the character and series as it gives different more to each of their backstory and recruitment into Section 9 as well as giving us the story behind who the Major is and how she became the person she is. It is masterful (I’ve watched the first 2 episodes thus far, this being the first review) and I like what they’ve done. It is better than the recent live action film and the character redesigns work. If you are a fan of the anime films and the show as I am, you will no doubt appreciate this OVA. The series of films were directed by Kazuchika Kise and written by Tow Ubukata. “Ghost Pain’s” story involves the Major investigating the death of an arms dealer who was killed by a robotic land mine after the end of World War IV. Batou is investigating as well as he believes her to be responsible as is Detective Togusa as Colonel Kurtz of her unit the 501st is trying to stop her. The Pros: The World – The re-imagined world is amazing! Adding the context of World War IV, and from that most cyborgs are now veterans of some sort adds a context to the character that only really came in the show later when we got character centric episode. It lended power to the world and made it interesting. It also explained the tech. as war often times leads to technological advances. The Animation – The animation is beautiful and like the show and some of the films is a mixture of 2D and 3D animation. It flows seamlessly and I enjoyed most of the character designs, even if it took a while for me to get used to the Major being in a smaller body. The characters are still themselves, they are just given a different and more context to who they are which the animation helps illustrate. The Conspiracy – The conspiracy is fascinating and involves a member of the 501st covering up that one of their own was the one involved in the weapons dealing and in turn was infected by a “Ghost Hack,” which lead to her loss of memory, which when she realizes her unit was behind the cover-up leads to her using to gain control of her body and gain her freedom from the unit. The Characters – The characters are one of the strongest parts of “Ghost in the Shell,” and “Ghost Pain” is no different. Each of them is given time, though what they needed was more time to make this film great. Togusa – Togusa is the Detective who stumbles upon the area where the mines are after he is tracking the killings of prostitutes in the district. It is here he works with Batou and the Major to fight them off and take on the two officers controlling them as they than escape. Colonel Kurtz – Kurtz is the one who repairs Kusanagi and is the closest thing she has a to a friend in her unit. There is clearly more going on with her as we learn she is behind the conspiracy at the end, so she isn’t to be trusted…but Major does because of their history. How true that will be later remains to be seen. Batou -Batou blames Major for the death of the man who was the weapon’s dealer from her unit. He is stubborn and tough but Major is better and we see they have a history together as his Rangers worked with her unit. By the end she is proven innocent but he still doesn’t fully trust her. Aramaki – Aramaki is the one believes in the Major and sees her potential when she figures out the trap early on, as her commander, the weapons dealer in the coffin was replaced by a living mine. By the end she somewhat accepts his help in the formation of Section 9 and we see they have a working relationship. Major Kusanagi – The Major is a genius hacker and a bit of the black sheep in her unit as she hates being owned by them by having the artificial body she grew up in after her parents were killed when she was born from a chemical attack. She is hardened but we see her quest for knowledge as the driving force, which is the most essential part of the Major. Through the film we see her deal with the ghost pain which makes her vulnerable and freeze and the “Ghost Hack” that was done to her commander who was the weapons dealer. In finding the truth she reveals the conspiracy, which finally gives her freedom from her unit. The Cons: Not Enough Time – Togusa and Batou both feel very underdeveloped. I put them as pros because they still feel like their characters and it is fascinating to see what they were doing before Section 9 but they could have been more fully formed. This film needed another half hour and that would have brought it to a 9. The Need for Clearer Answers – At the end I still had questions about some of what was going on. Whether the Major’s parents had died of the chemical attack, etc. I felt we never really got that when it was okay to give a clear answer after the Logicomo was linked with the Major. The answers could have been much clearly stated. This animated film beats the live action film as it captures the Major perfectly, even if she is physically smaller, she still has the same personality and it is great seeing her beginnings and getting her backstory, as well as seeing that she is a hacker and that is why she is great at entering the net and dealing with giant threats later on. She is also vulnerable too and I loved the “ghost pain” idea as an inborn trauma. It gave her vulnerablity and I really loved how the episode was her quest for freedom from the 501st so she could own her own body. It was really good at the characters each feel real, even if the lack of time keeps many of them from getting as developed as they could.